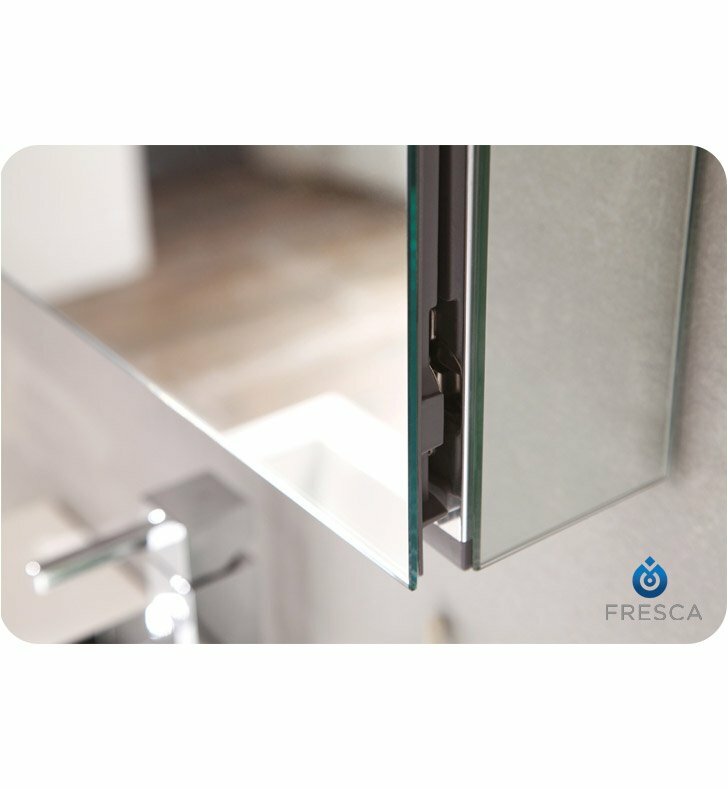 Give your bathroom a fresh, contemporary feel with an elegant White vanity, and sleek frameless mirrored medicine cabinet. 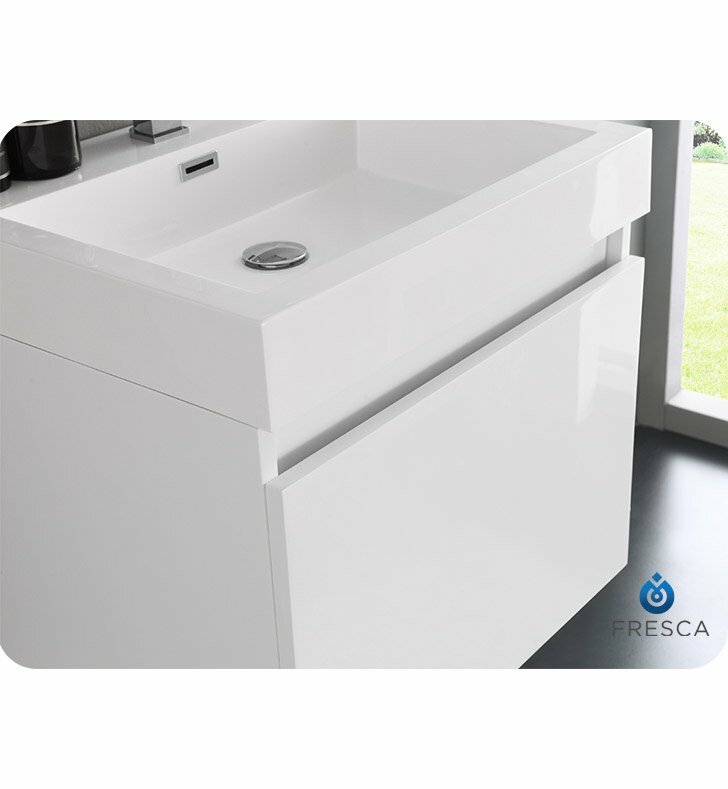 This Fresca Nano line features a stunning white integrated basin and countertop with smooth lines and a thick profile. 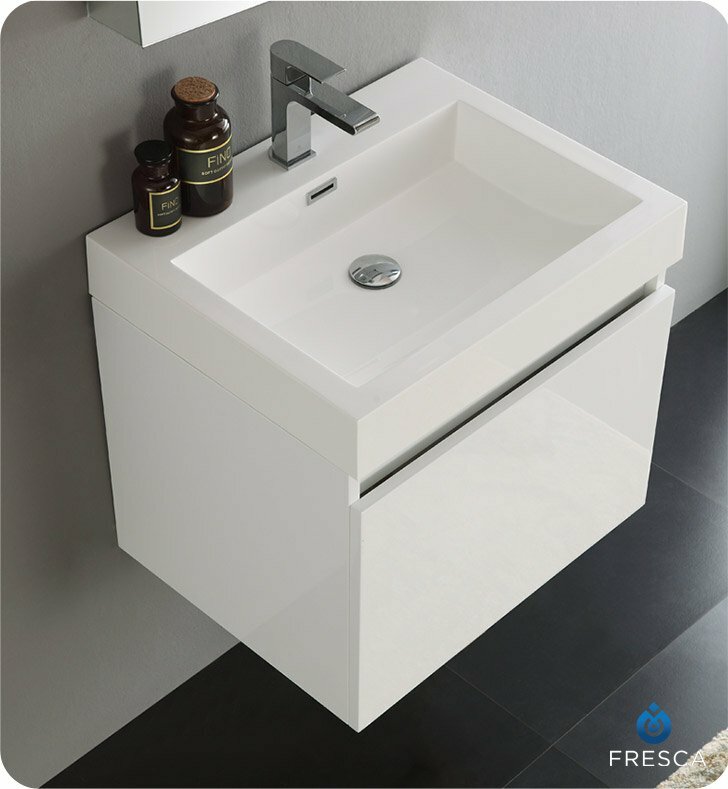 The modern basin is equipped with an overflow, and has a single hole faucet mount. 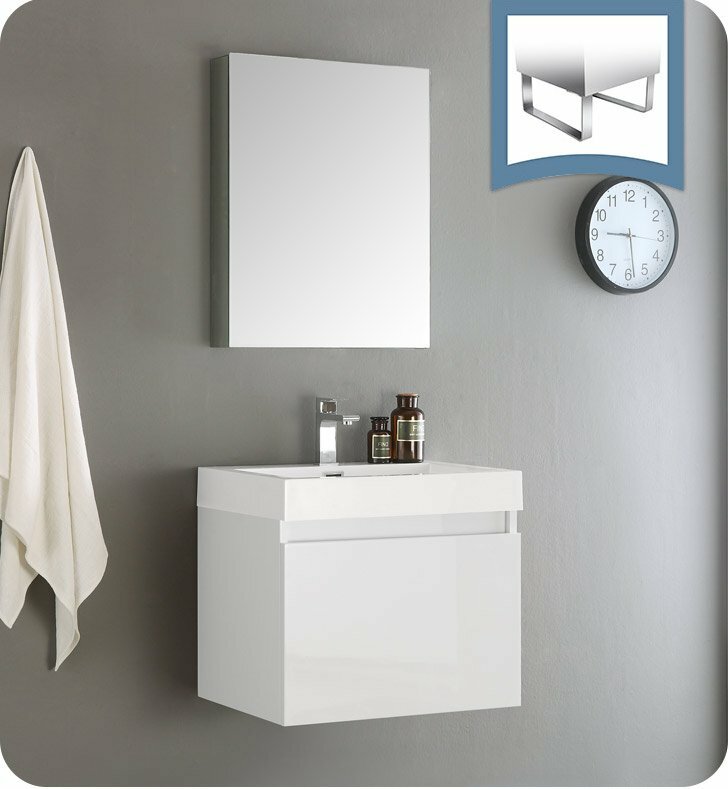 The square White vanity features a spacious soft closing drawer with a fabulous nested drawer storage system inside. Innovative BLUMOTION drawer runners offer smooth, silent closure, great stability and less sag when the drawer is fully loaded. 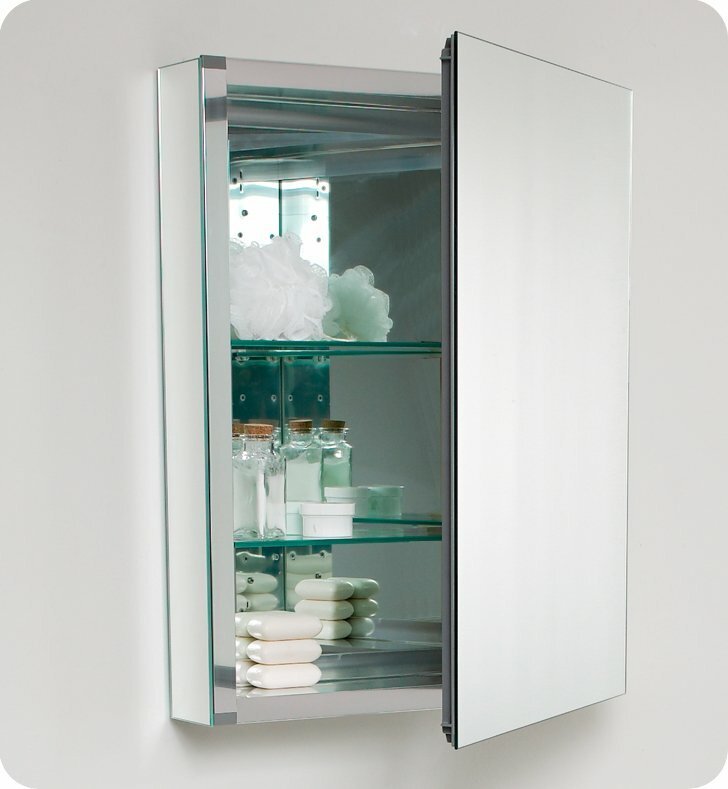 The trendy, wall mounted floating cabinet measures 24” in width and is perfect for large or small bathrooms. With its fresh White finish, it will add a bright touch to your home. 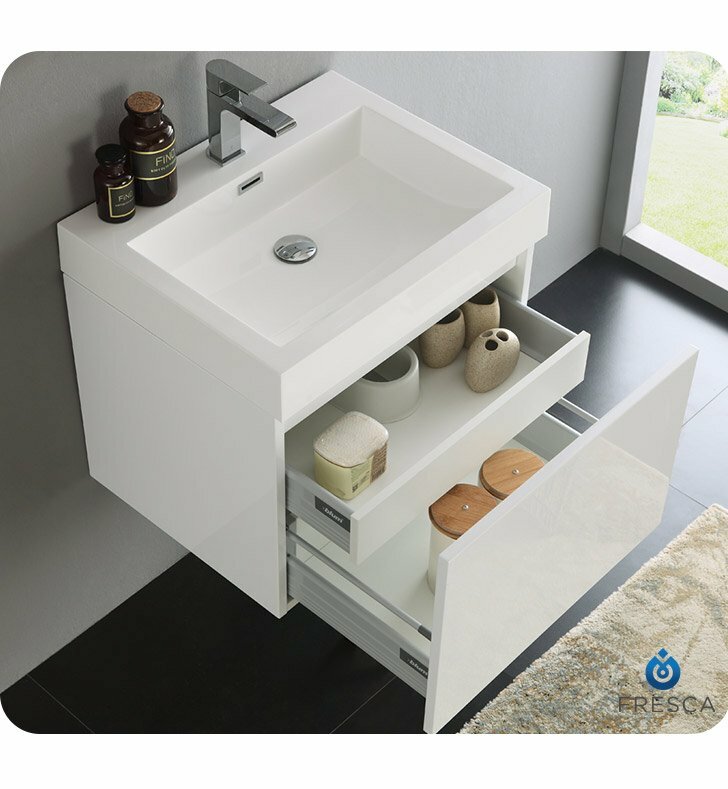 What a sophisticated collection to give your bathroom a bright, modern look and feel. Love the look. 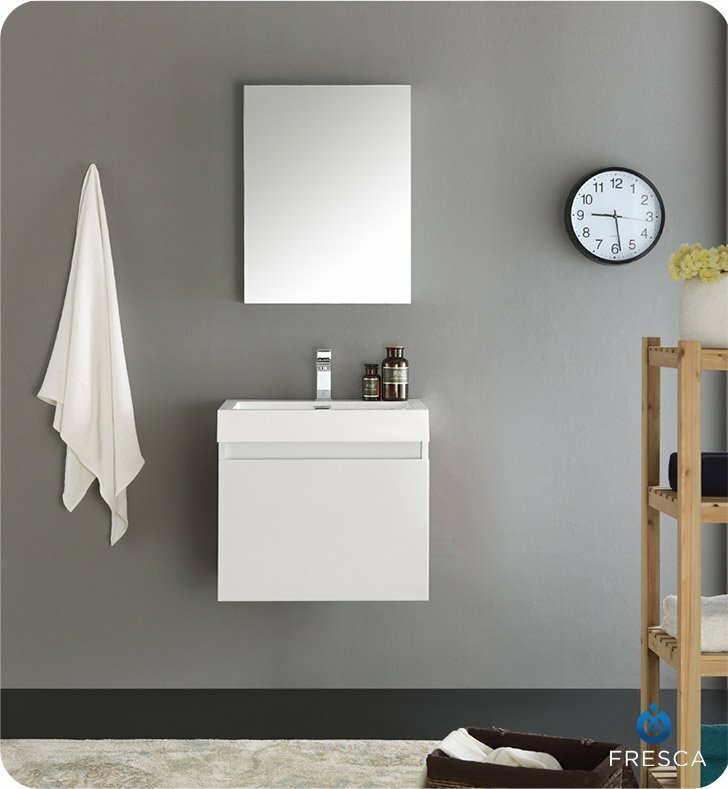 Great for a small bathroom.